Thomas Alty (1899-1982) was Cargill Professor of Applied Physics (the Chair was renamed Natural Philosophy in 1945) from 1935 to 1948. He was awarded an LLD in 1953. Alty was a graduate of the Universities of Liverpool and Cambridge. He became a lecturer in Physics at the University of Durham in 1924 and was Professor of Physics at the University of Saskatchewan from 1925 to 1935, with a break of a year when he worked as a Research Physicist at ICI. 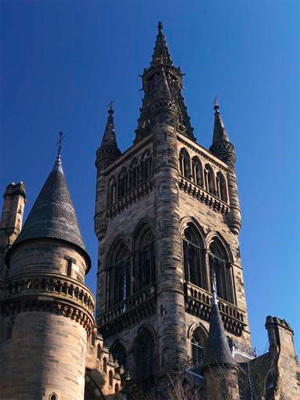 In 1948, Alty left Glasgow to become Master of Rhodes University College in South Africa, and he was appointed Principal and Vice Chancellor there in 1951.